With its stylish curved aluminum extruded case available in either black or white finish, the Contour Electrol is a beautiful addition to any installation. An optional choice of seven veneer finishes is also available for the front cover of the screen case for a warm, elegant look. 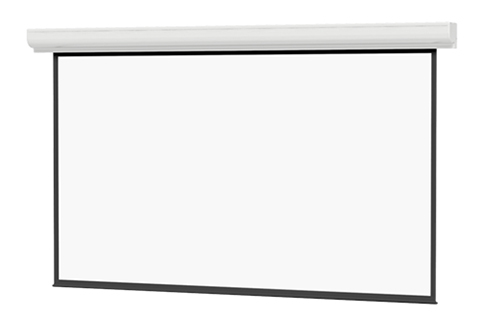 Screen surface retracts completely into case for a clean, modern appearance when screen is not in use. Standard silent drive system ensures a whisper-quiet operation. Integrated low voltage control for flexible operation. Smooth roll technology: patent-pending to ensure your screen stays perfectly flat. Five year warranty. Industry-leading peace of mind.